The Tutor Report is the online magazine produced and sponsored by Oases and you don’t have to be an Oases customer to take advantage of tutoring and AfterSchool articles, business resources with links to free curriculum and lessons. List yourself or your company in our free business directory and browse for other support services listed such as background checks and insurance specifically designed for tutors and tutoring and child care. 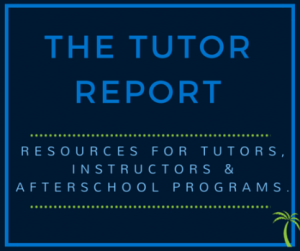 The Tutor Report also includes a Job Listing board where you can list your open jobs and browse for other jobs in the tutoring and AfterSchool Industry. Authorize.Net makes accepting credit card payments and e-checks safe, easy and affordable. Authorize.Net is integrated with oases so you can collect money from your customers quickly and easily. Funds from Authorize.Net are deposited directly into your bank account. Achieve is a program designed to identify the strengths and weaknesses of students through assessment testing, allowing tutors to know exactly where their students are academically, shortly after administering the Achieve Test(s).